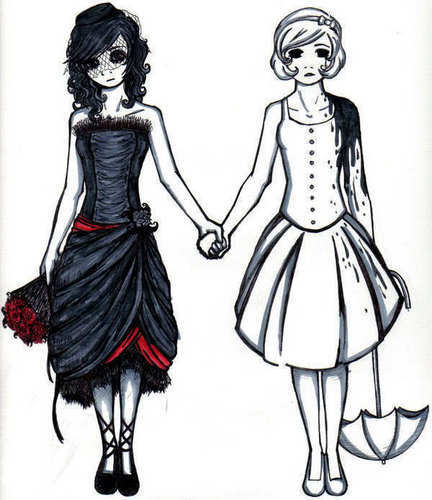 Helena and White Girl. . Wallpaper and background images in the My Chemical Romance club tagged: my chemical romance helena. This My Chemical Romance fan art might contain polonäse, polonaise, overskirt, and überrock. omg, i love this pic! its sooo coool!!!!! !